With summer approaching, I remember all too well the events as I prepared for another season at the pool in 2003. Everybody does it, right? That was the thought that ran through my head as I finally picked up the phone to schedule 'the' appointment. After years of dealing with the dreaded bikini line, I finally got up my nerve to take care of it. At this point in my life, I had given birth three or four times, so how hard could it be to get waxed? I longed for the freedom of pulling on a bathing suit and not worrying about whether or not there was any growth, stubble, or even worse red shaving bumps. No more itching as it grew back. No more adjusting to make sure everything was tucked and tamed. Ah, let the summer relaxation at the side of the pool begin . . . of course, having those little tots in tow meant very little relaxing. Instead I would be constantly checking swim diapers to avoid the dreaded spillage, reapplying sunscreen to chubby limbs, and keeping a watchful eye to be sure no one stayed under too long! But chatting with other moms and soaking up the sun's rays was enough of a respite for me. OK, it wasn't this bad, I promise! Being on a budget, I shopped around. 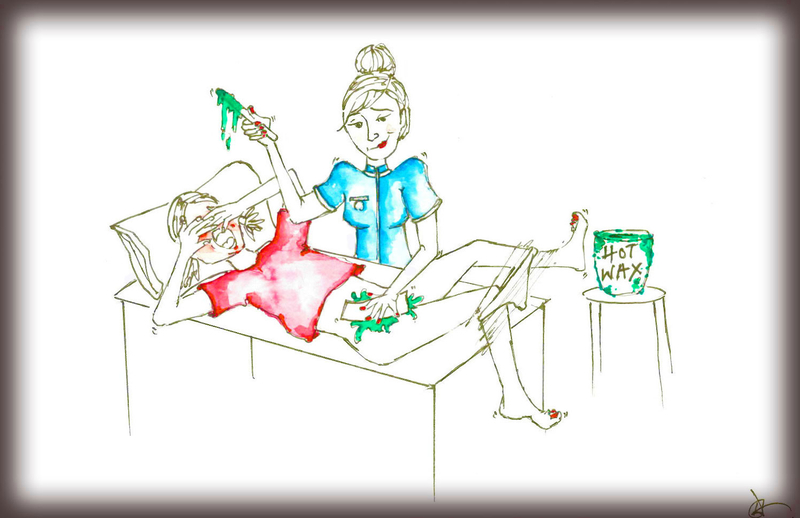 Since I was new to the bikini wax market, I had no idea how much I should expect to invest in a wax job. I was still uncomfortable talking about the process in polite company, so I could not rely on recommendations from friends. I called around and inquired about pricing at a few places that I looked up in the yellow pages. Finally, I scheduled myself at 'The Hair Garden.' It won my business because it was the cheapest place around. It has been about ten years since this memorable event, so I honestly don't even remember how much it cost. It wasn't until I arrived that I realized that 'The Hair Garden' was a beauty salon catering to a clientele that was primarily of East Indian decent. This shouldn't matter. I believe hair down there grows the same on everyone, so I pressed onward in my adventure. I was led into a back room. The chatter among customers flowed in a foreign tongue, so I had no idea if the other patrons were chuckling about how nervous or out of place I looked or if they were just carrying on regular conversation. I reminded myself that this would all be over soon and I would be chuckling about it long distance with Fozzy. Laying on a table, I bared my own 'hair garden' of unruly, unwanted overgrowth. The dingy ceiling tiles, and the flickering fluorescent light completed the Frankenstein-like, lab atmosphere. Where the Hell was I, and what was I doing? The professional warned me that the wax would be warm, and then warned me that I would feel some pain. Damn! That was no joke. She repeated the process a few times before proudly announcing that the job was done. I barely remember paying. Everything else is fuzzy (no pun intended). I half cried, half laughed the short ride home. I don't think I applied any ointment or other soothing treatment before I reached for the phone and called Foz. I described my ordeal in great detail. We laughed and chuckled at the awkwardness of it all. Then Fozzy asked an important question, "Was it worth it?" That is when I decided to examine the condition of my screaming skin. Ironically the worst of the de-weeding was about to be realized. When comparing prices, perhaps I should have inquired about technique or success rate (I guess I wasn't aware that a bikini wax could be unsuccessful). Upon inspection, I was shocked because I had been serviced with an 'incomplete' bikini wax. There were entire areas that remained intact. How difficult is it to get it all? I promise that I am not some kind of amazon woman with hair growth rivaling that of Chewbaca. 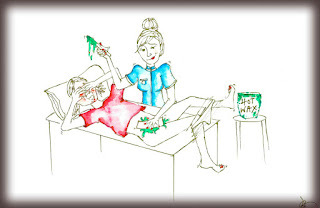 What good is an incomplete bikini wax? I was still forced to deal with the renegade strips of hair that apparently avoided the less than thorough efforts of Ms. 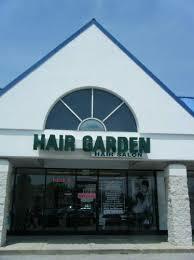 Hair Garden. I would certainly not recommend her for the employee of the month. How dare she botch this, when every ounce of my courage was summoned for this particular endeavor! So approximately ten summers later, I have chosen to spend summers sporting swim suits that shroud my bikini line in a skirt rather than 'woman up' and repeat the icky process all over again. I have accepted the reality that I have an area where the sun doesn't shine. On the flip side, Fozzy and I only have to mention the name of the now closed business, 'The Hair Garden' in order to enjoy a good hearty laugh! And so now I share the laugh with you too, my readers.